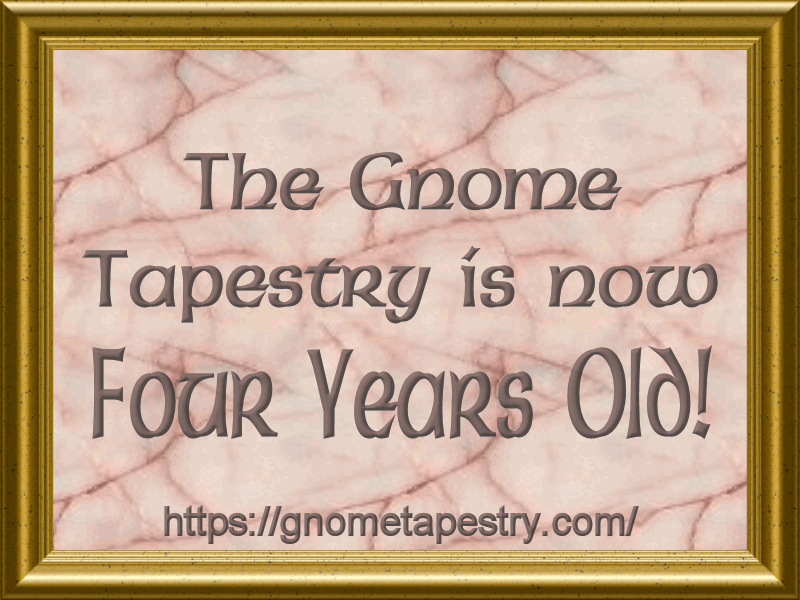 The Gnome Tapestry is Now Four-Years-Old! I’m proud to announce that as of October 17, 2017 — The Gnome Tapestry is now four-years-old! There is enough material that I could publish something every day of the year. This entry was posted in Writer's Words and tagged 600, Anniversary, announcement, Darrell W Penner, DWP, DWPenner, Gnome Tapestry, milestone by DWPenner. Bookmark the permalink.